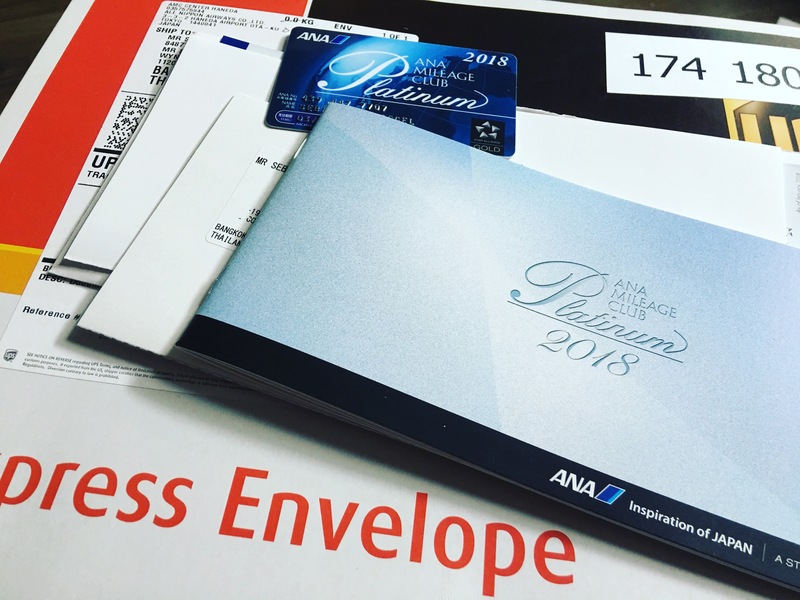 Back in Spring (April/May) IHG Rewards Club has sent out an offer to select members offering them an ANA Mileage Club Platinum status which has now been activated. The status appears to have now been updated in the accounts of those who successfully signed up for the promotion and membership cards have been sent out – in my case even via UPS Express. IHG and ANA have targeted individual members for a one time upgrade though rumor has it that even those who weren’t the intended recipients of the offer received a membership upgrade as well. John wrote about this in early May (see here) and also provided a sign-up link for those not personally invited. You can find the detailed ANA Mileage Club Membership Guide here. 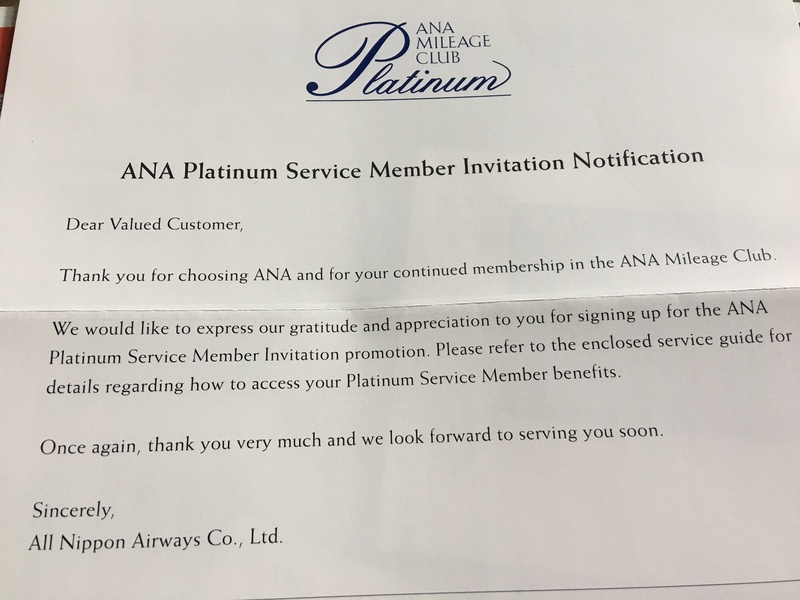 I checked my online account last week and realized my ANA Mileage Club status has been upgraded to Platinum and I was able to download the virtual membership card featuring the Star Alliance Gold status. Actually I didn’t expect the physical membership card to arrive for weeks and was pretty surprised when a UPS Express envelope arrived at my address containing the Platinum Membership package. Super impressive and actually so Japanese, like which other frequent flyer program would send you a basic membership package via express courier? 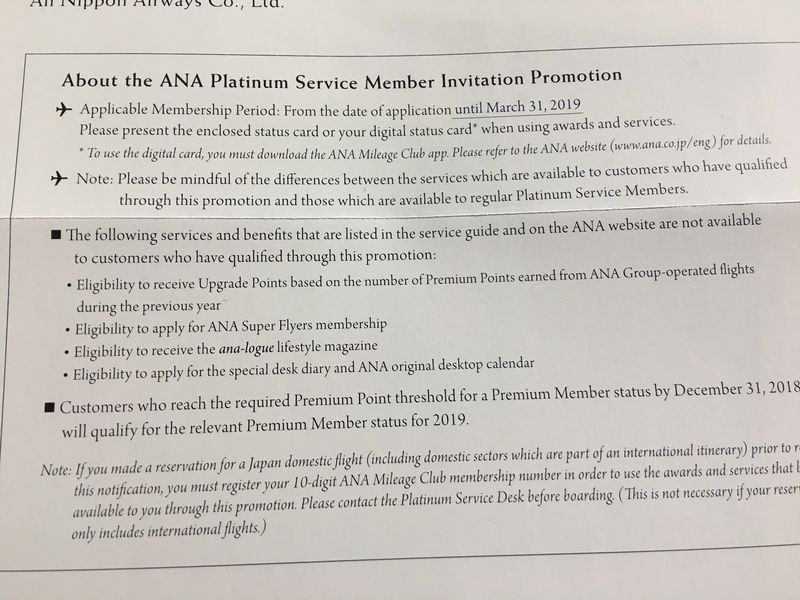 The really leave nothing to the imagination and clearly outline the differences between regular qualification and those who receive the ANA Platinum status through this promotion. One of the most amazing benefits is the option to change from Economy Class to Premium Economy at the time of check-in. 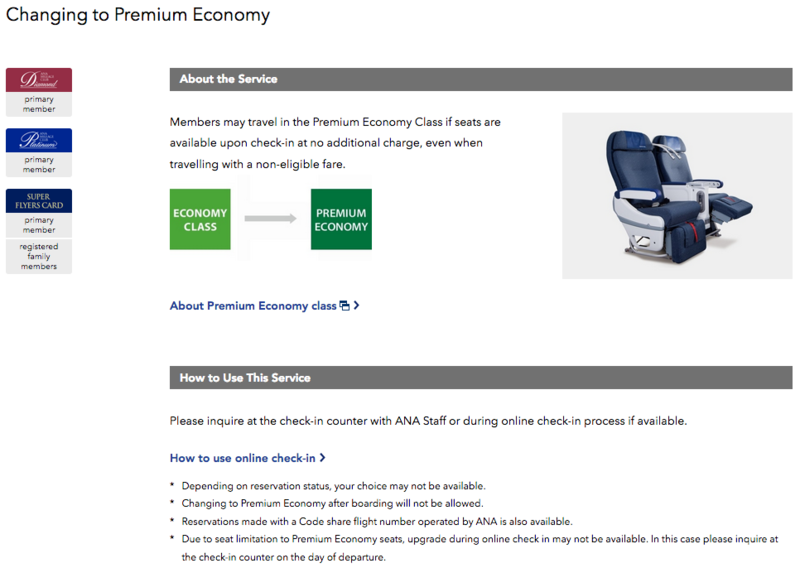 These are basically unlimited upgrades to ANA’s very decent Premium Economy product which is a huge difference in comfort and I’m definitely going to take advantage of this until the expiration of this status. I have to mention one negative though and that is the requalification period for members who actually wish to continue earning miles and status with ANA Mileage Club. It’s now August of 2018 so there are only 5 months left to earn miles under the ANA Program as the annual qualification period ends on December 31st. It’s a minimum of 50,000 Miles for renewing the Platinum status and likely very hard to do so within this little time when you usually have 12 months for this. Of course one could start in January 2019 and use the first 3 months and then rack up the remaining miles without any status or the Bronze as soon as it hits. It would have been more reasonable to offer a reduced mileage requirement lets say 25,000 miles until years end to keep the member involved in order to avoid “hit and run” customers who will use the benefits of the membership for the time being but not collect enough to actually renew the status. Either that or they could have offered it until December of 2019. Still very impressed about the efficiency of sending the membership kit via UPS and I think I’ll map out a strategy how to renew the Platinum status. Thing is I’m currently United Gold with 34,000 Miles YTD so it wouldn’t make any sense abandoning Mileage Plus when only 16k are missing at this point.